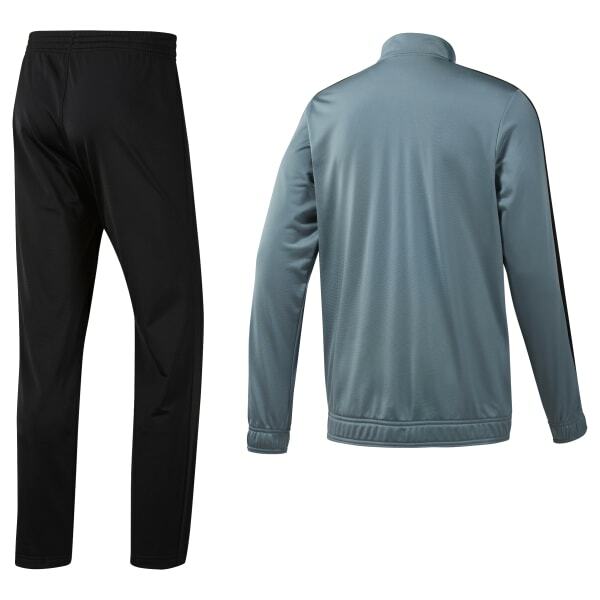 This men's iconic athletic outfit serves up good looks at the gym or out and about. Colourblocked details and comfortable fabric define the authentic track suit look and feel. Open pockets and a full-zip jacket follow through with classic throwback looks.